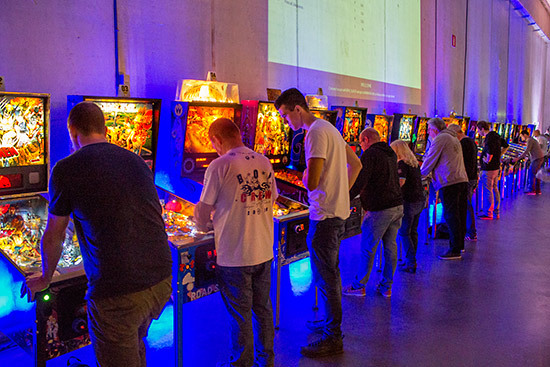 This year the Belgian Open Pinball tournament moved out of its former home at the JC Den Eglantier nightclub near the central square in Sint-Niklaas to a airier, more spacious and better air-conditioned hall close to the train station in the same city. 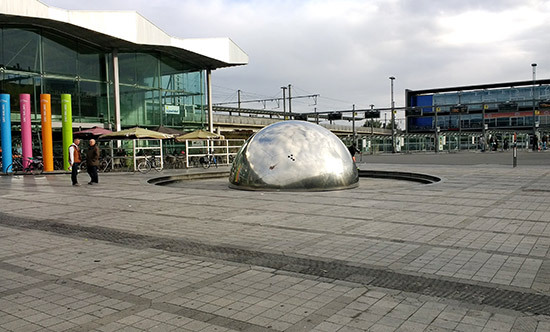 Walking under a bridge behind the silver ball above brought us to the 't Bau-huis - a glass and metal structure containing two large halls. There was plenty of free parking for vehicles both directly outside the building and on the surrounding streets. 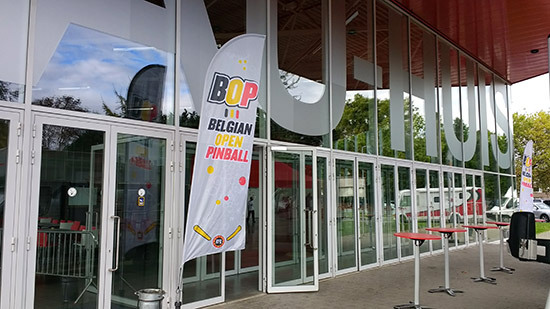 The Belgian Open Pinball event was in the second, right-hand hall, although the organisers had also booked the left-hand hall for storage and as a quiet area, so they really had the run of the place. In the glass-sided foyer were multiple tables and chairs for relaxing, eating or drinking. 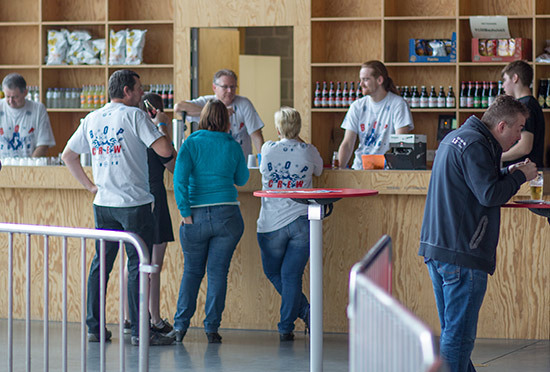 The bar on the left side provided coffee, soft drinks and several different beers ranging from the draft Jupiler to bottles of Westmalle Dubble or Tripel trappist beers. 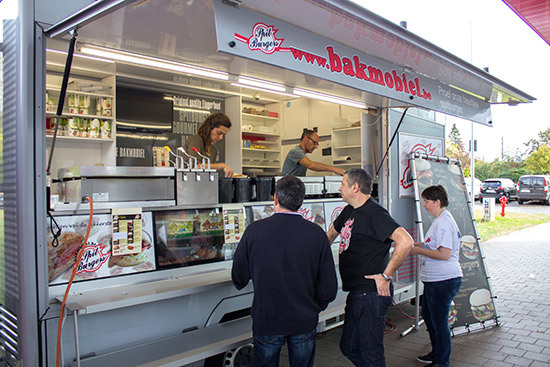 They also sold some pastries and potato crisps. Payment for the bar's offerings had to be made in tokens which could be purchased from the registration desk, located on the right side of the hall. 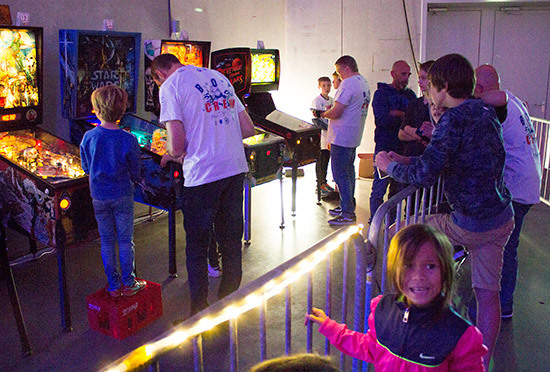 Entry to the Belgian Open Pinball tournament cost €45 ($50.44 / £39.56) which needed to be submitted in advance along with a chosen qualifying time slot. Five two-and-a-half-hour qualifying sessions were available spread throughout Saturday, with the first starting at 9:30am. 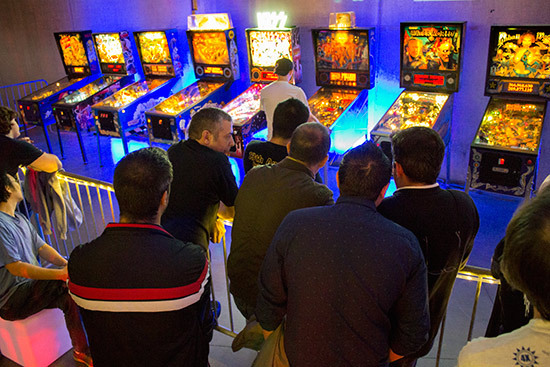 On arrival, players collected their entry pack which included their player badge, three €1.50 green tokens for use at the bar, and a red token for one entry in the Classics Tournament. 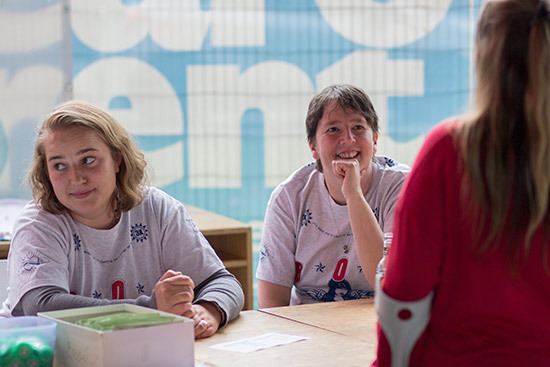 Event T-shirts like the ones above could also be pre-ordered at a cost of €25, and there was the €13 option of joining an all-you-can-eat pizza dinner on Saturday evening. More on that later but let's head into the hall. 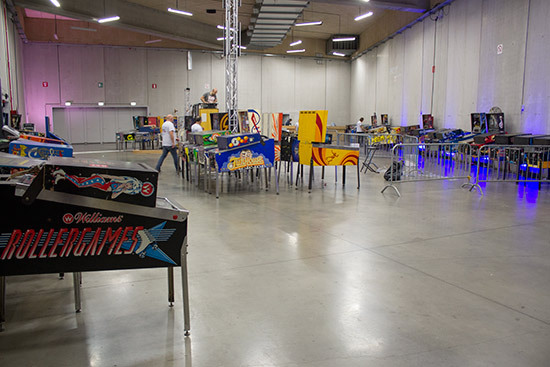 The left and central areas contained the twenty-six free-play machines, at the back of the hall were the Classics Tournament games, while the main Belgian Open Pinball machines were on the right wall. 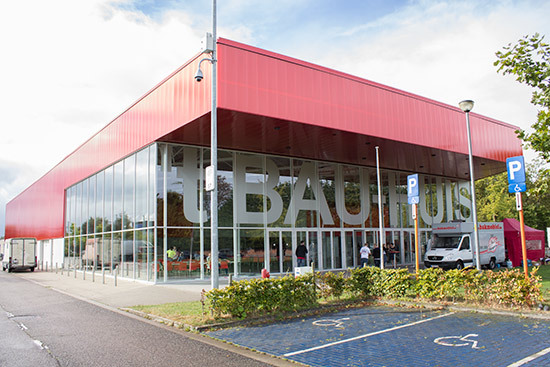 The area on the bottom right of the picture above was where the side tournaments for teams and junior players were held. 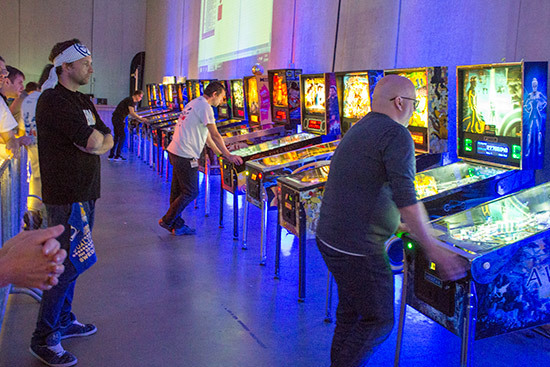 Here is the list of the free-play machines. As usual, asterisked titles in the list were not working or switched off when we compiled it on Sunday. 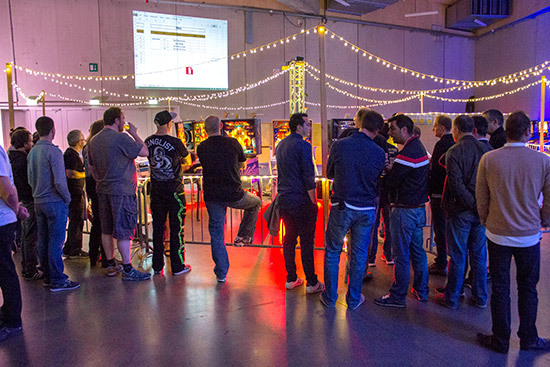 There were twenty-four main Belgian Open Pinball (BOP) tournament machines arranged along the right wall. The exact mix of machines in each area changed from Saturday to Sunday, but these were the titles used for Saturday's BOP qualifying. 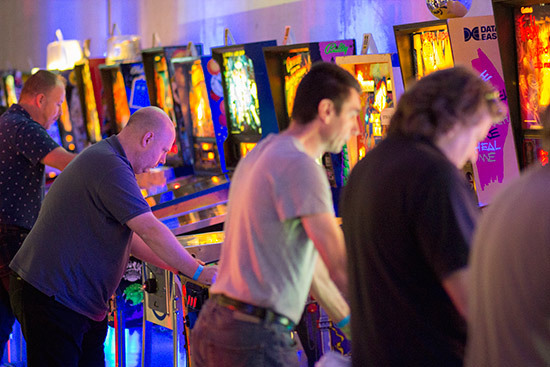 During the qualifying round players could choose any eight of the twenty-four BOP machines on which to try to get their highest scores. 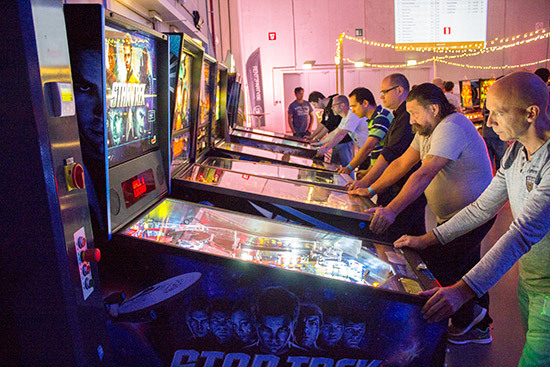 All scores on each machine were ranked with the highest score earning that player 125 points. 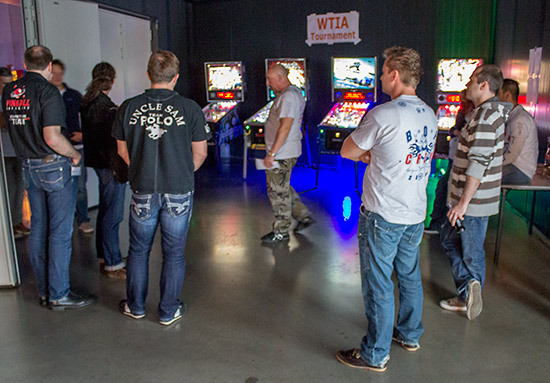 The total points across all eight machines made their overall total. 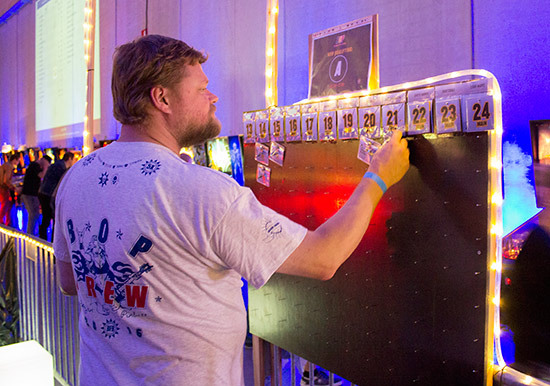 The machines were behind barriers with two manned entrances each of which had a peg board with small plaques for each of the twelve machines covered by that board. 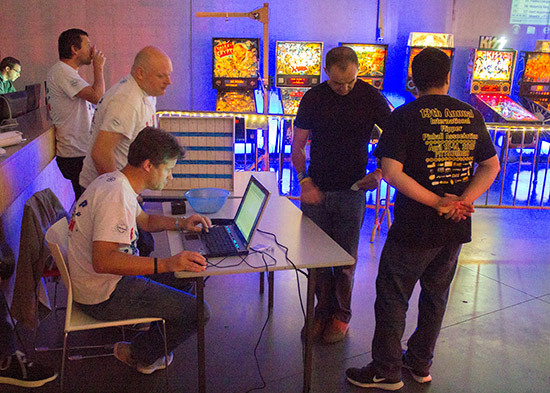 Players had to choose a machine and then give their player badge to an official who put it on the peg board against the machine number. 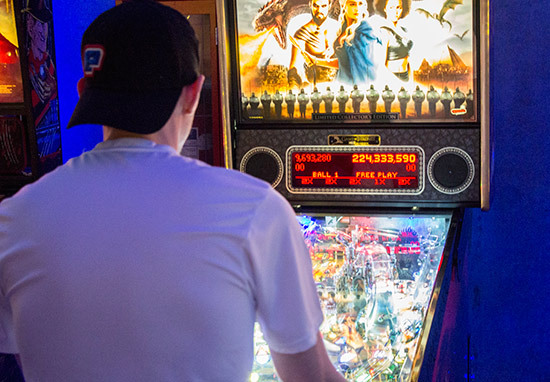 When a machine was free its plaque was also on the peg board and the next player to choose it could enter the area and start their game. If the plaque was not on the board, someone was playing the game, and the badges of subsequent players were stacked on the board. 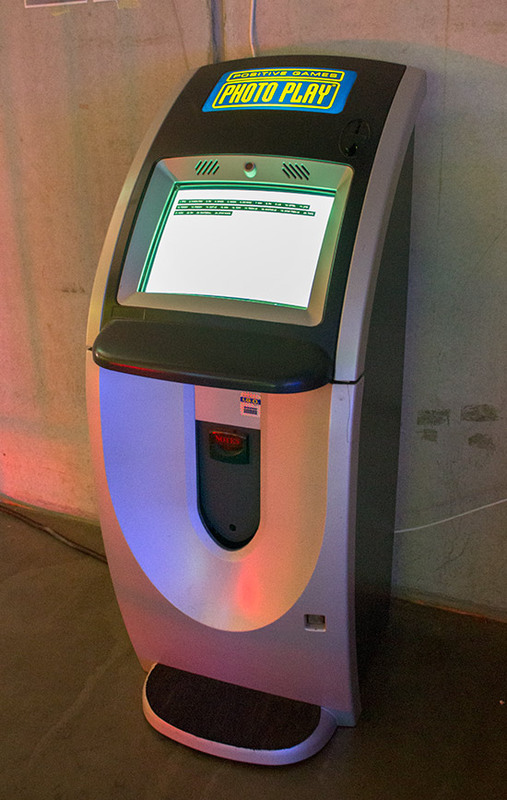 To combat any attempt to restart a game, credits could only be added and the game started by officials using a fob similar to the ones employed by bar staff to identify themselves to the electronic till. 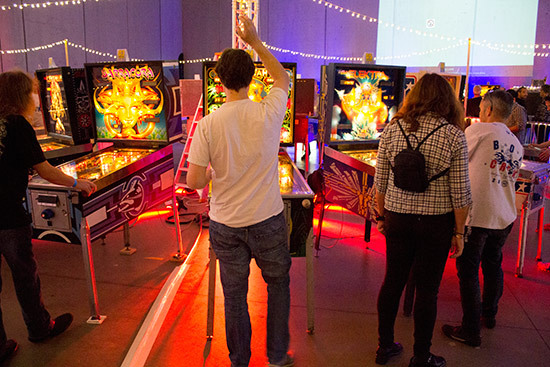 In addition to their original eight scores, each player had a 'joker' they could play to either replay one of the eight machines or to play a ninth machine which would replace their lowest points-scoring machine from the original eight. 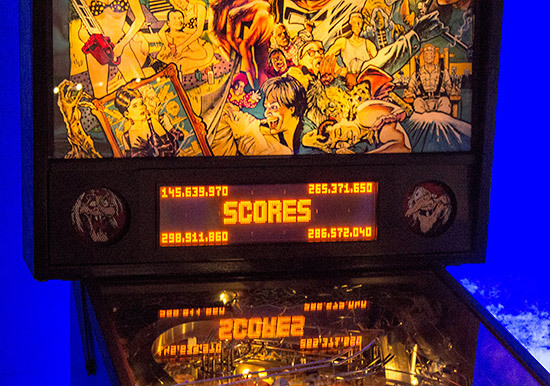 In both cases the joker score would replace the previous score, even if it was lower. The joker could either be played as part of the player's qualifying period, or used in a special joker session from 10pm until 11pm on Saturday evening. 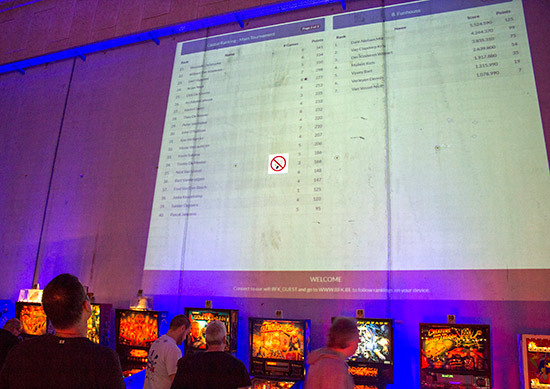 Besides the projector display on the wall, several upright terminals were available where players could check their performance and see the overall rankings in all the available tournaments. 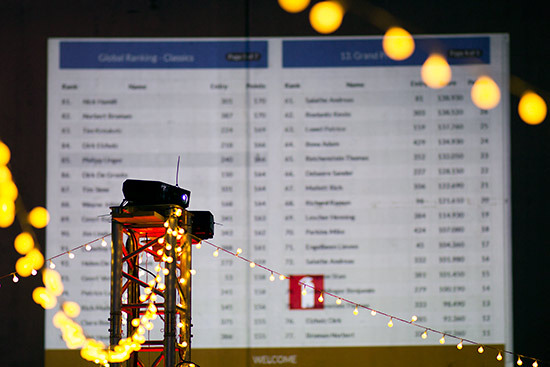 If that wasn't enough, a second projector was set up in the lobby, and players could log-on to a closed wireless network and use their phones, tablets or laptops to further interrogate the scoring system. 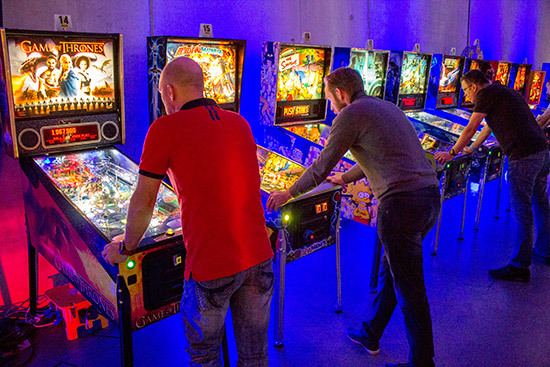 The only thing seemingly missing was an internet version so players could keep up-to-date with their standing when they had left the building. 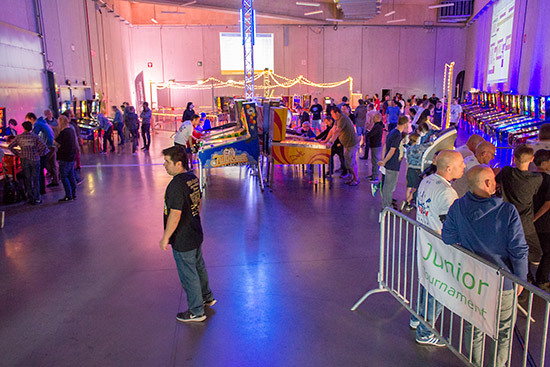 In the centre at the back of the hall were the sixteen machines used in the Classics Tournament. 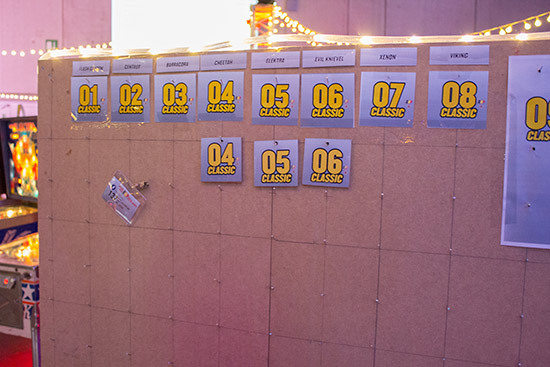 The same peg board system was used for the Classics Tournament, although with fewer machines than the BOP it only required two entry points. 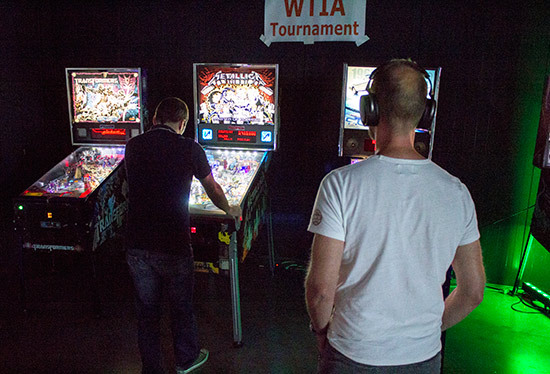 The same type of scoring system was used for the Classics Tournament, although an entry only consisted of three games rather than eight. 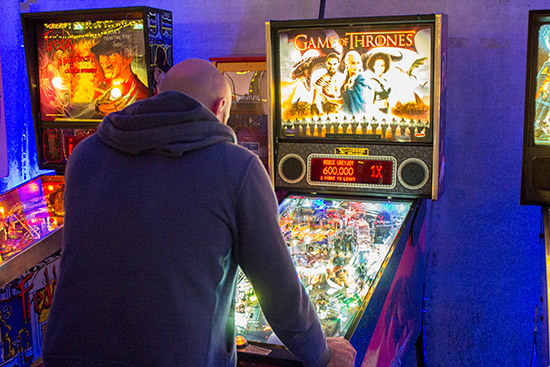 However, unlike the BOP, players could buy as many entries for the Classic Tournament as they wanted during the qualifying session which lasted all day Saturday and from 10am until 2pm on Sunday. 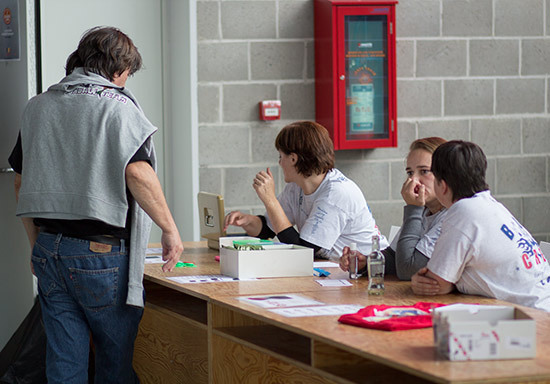 Everyone received one entry with their BOP registration, while extra entries cost €3 from the registration desk. 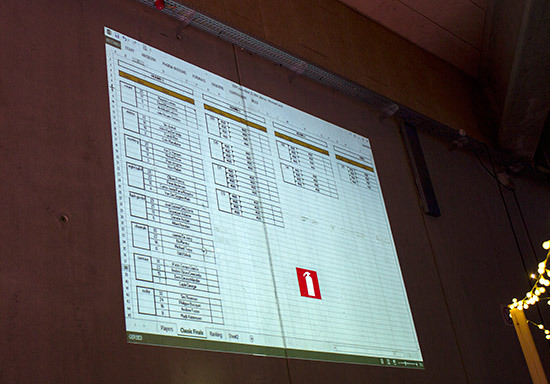 Scores and standings were projected on the back wall of the hall. 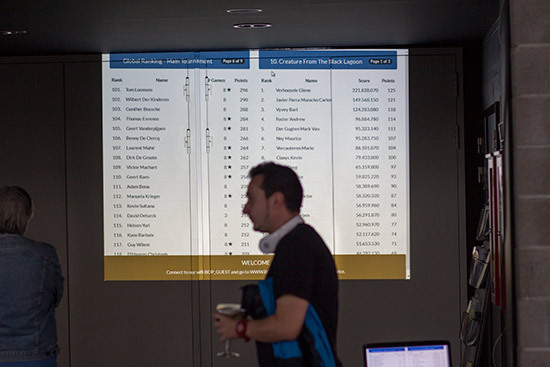 The projected standings appeared to lag the on-line versions by several minutes, but the scoring system generally worked very smoothly and was diligently run by a team in a darkened corner at the back of the hall. 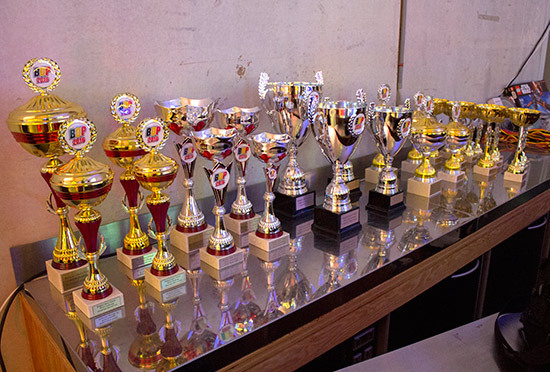 On Saturday there was a team tournament which was open to twelve groups of four. 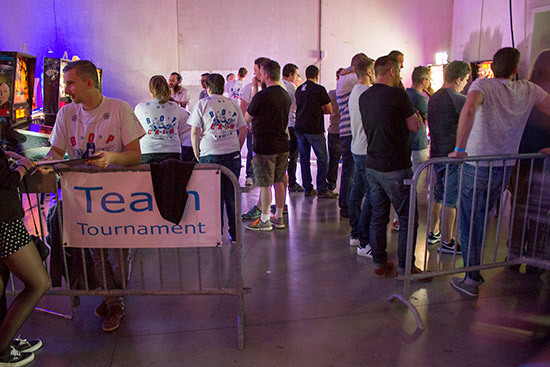 The teams were split into two groups of six and played a single match against each of the other five teams in the group. 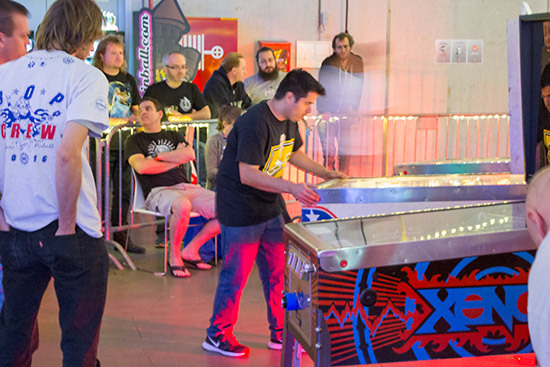 A match consisted of two 4-player 4-ball games where in each game two players from one team played two from the opposition. 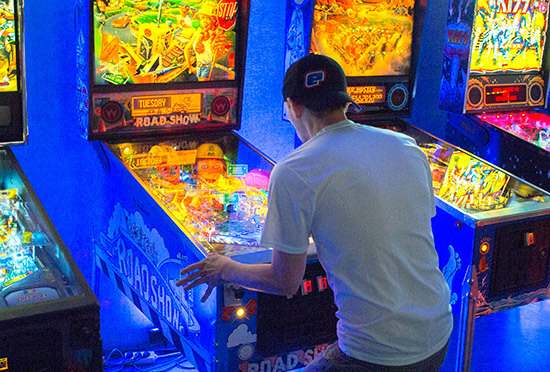 The games were played so that the first three balls were played normally but the fourth was played split-flipper by both members of the team. Points were awarded for the finishing position in each game using a 5-3-1-0 system. The top two teams from each group then went through to the final which was held on Saturday night. 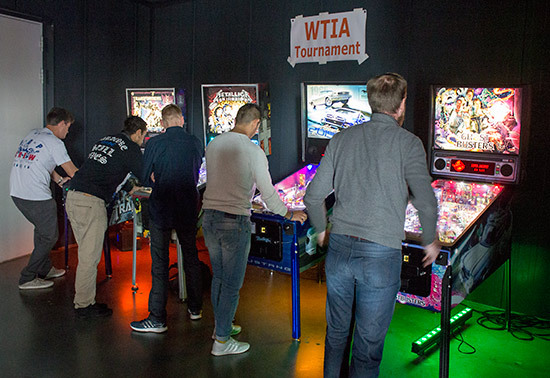 The final competitive event on Saturday took place in a small room between the lobby and the main hall, and that was the Winner Takes It All (WTIA) tournament. 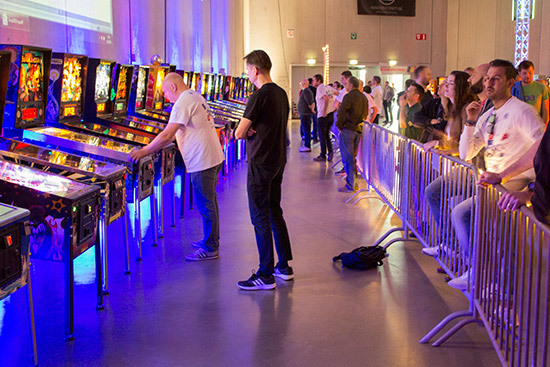 Four Stern machines were set on €1 per game coin play and the simple task was to try to get the high score on any one of them. Whoever managed it would get themselves a place in the final on Sunday afternoon. 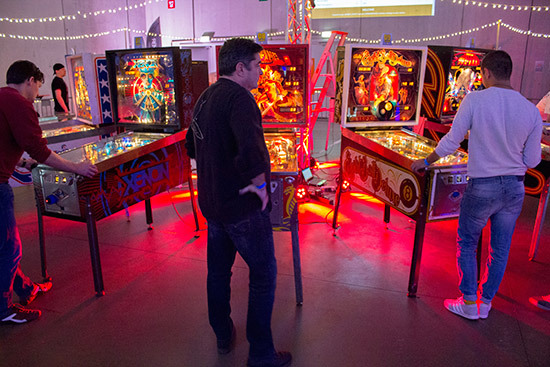 The machines were: Transformers LE, Metallica LE, Mustang LE and Ghostbusters Pro. 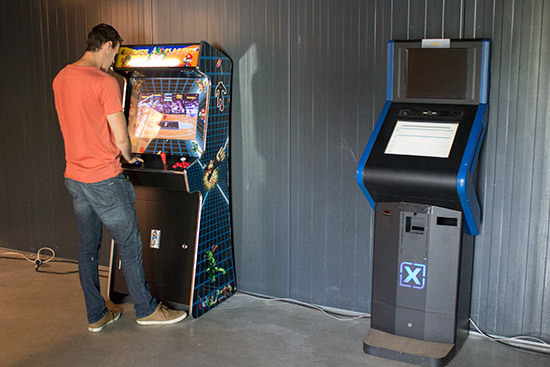 Also in that room was another scoring terminal and a rather lonely upright video game. 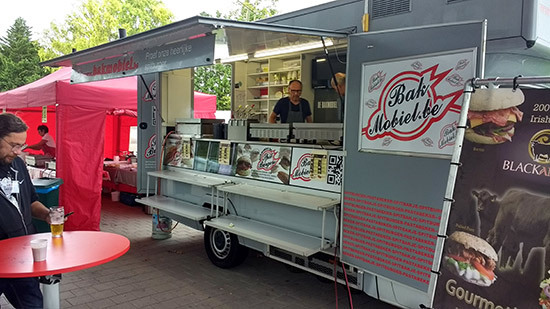 For most of the weekend, hot food was provided by two catering trucks parked outside the entrance to the venue. 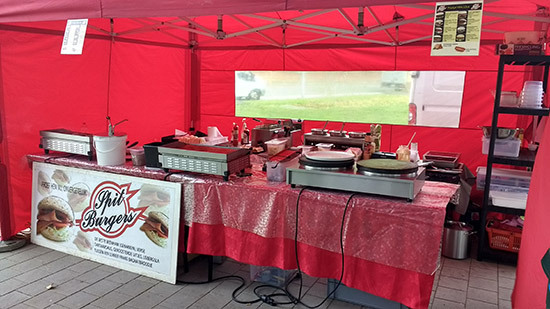 We didn't try any of the food there ourselves, but did see plenty of people thoroughly enjoying the appetising burgers they sold. 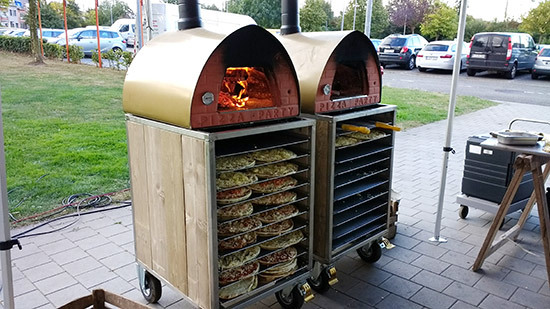 On Saturday evening another company turned up and set up their wood-burning pizza ovens in preparation for the all-you-can-eat pizza buffet which was available for €15 per person. Those who partook had to sit in a special segregated area so they didn't share their food, and only seemed to get one or maybe two slices per visit. Again we passed on the pizza and headed into town for a nice meal at a Danish restaurant before returning for the joker session at 10pm. 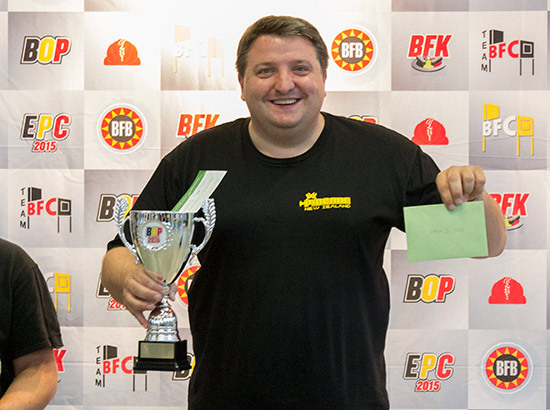 Sunday morning began at 9am as the 56 qualifiers from Saturday's BOP qualifying session turned up to register and start the first rounds of play-offs. Several qualifiers didn't turn up for the play-off rounds, so they were replaced by players in positions 57+ who were present at the time. 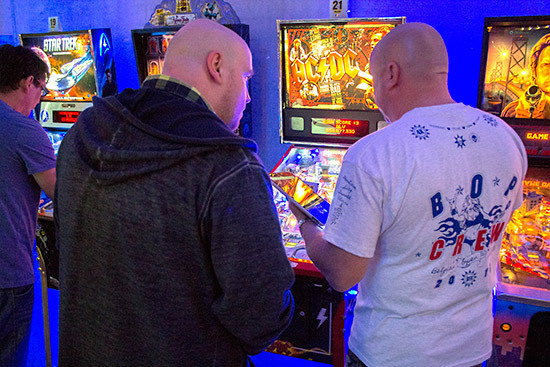 The top eight qualifiers skipped the first two rounds of the play-offs, and the remaining players in the top twenty-four got a bye through the first round. That left thirty-two to play in round one. 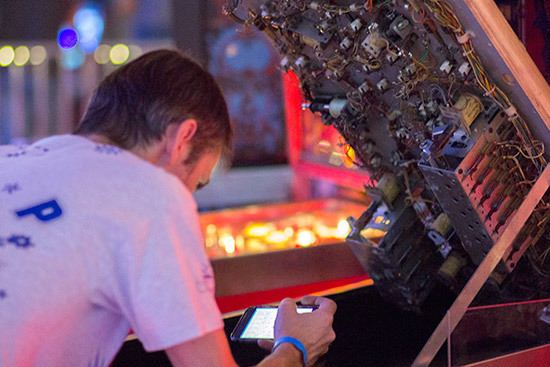 The play-offs were head-to-head best-of-three three-ball games played on randomly selected machines. 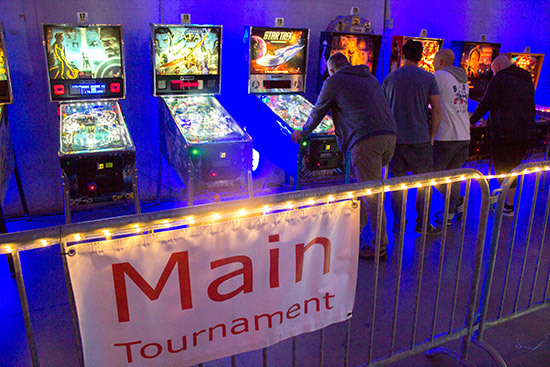 Several machines from the previous day's qualifying had been replaced with machines from the Team Tournament or elsewhere in the hall. 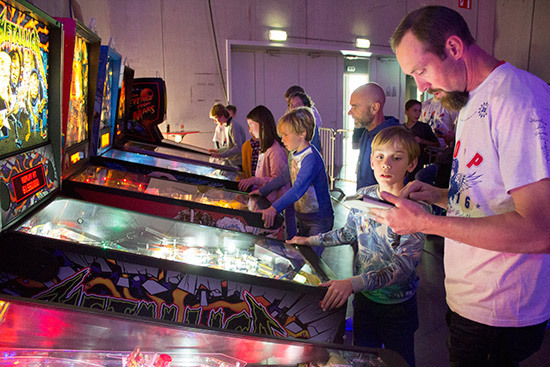 Pinball Magic, Kiss and The Walking Dead replaced Funhouse, Jack in the Box and Skateball. 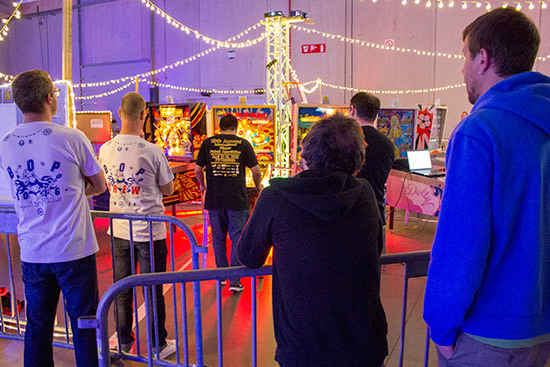 The winner of each best-of-three match moved on to the next winner's bracket round, while the loser bracket awaited the loser of the match. 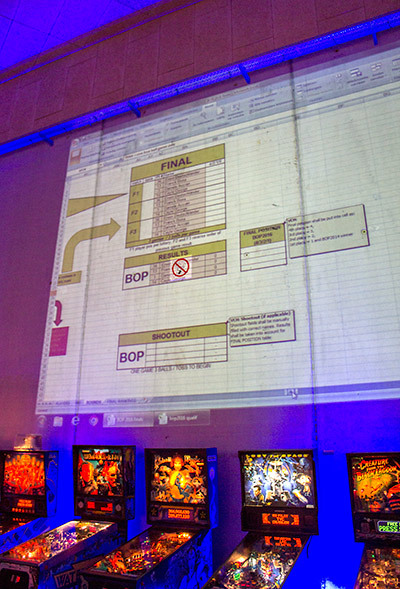 Results and matches were shown with a spreadsheet on the projector screen. Those who lost a match played their loser bracket match as a four-ball single game. 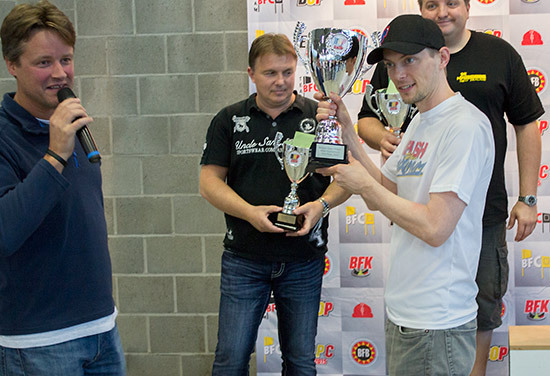 The winner continued, while the loser was out of the tournament. Meanwhile, down at the area used for the Team Tournament on Saturday there was a Youth Tournament on Sunday. 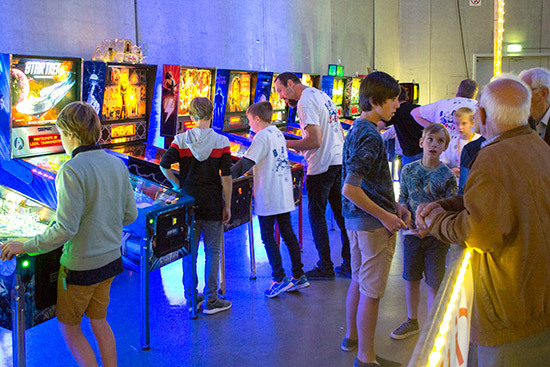 Youngsters aged 15 and under could take part, with a high score qualifying round played on all six machines from midday until 3:45pm. They also had a joker they could use to replay one of the six. 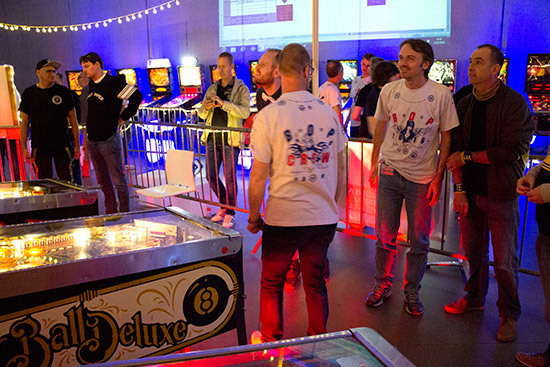 Once qualification was over, the top eight played off using BOP machines to decide the final places. 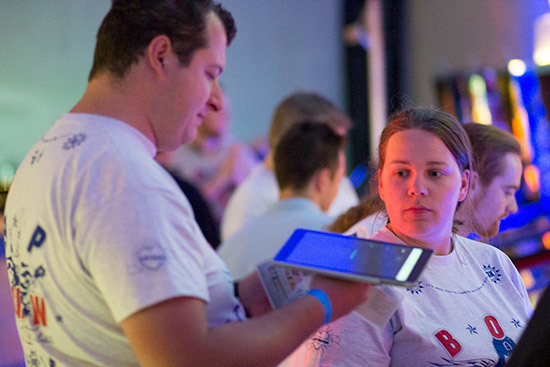 At 2pm the qualification for the Classic Tournament ended. The top 32 scorers made it into the play-offs, although there were no byes for the top qualifiers. 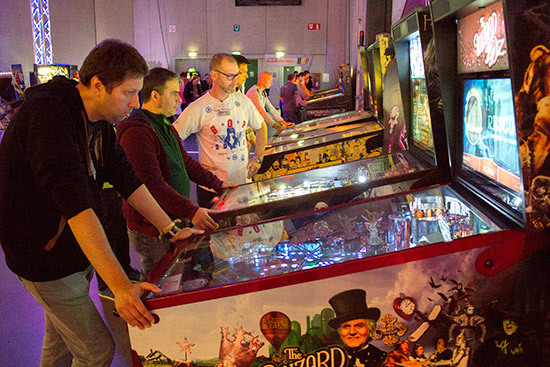 Instead, eight groups of four were formed with each group playing a single game on one machine. The top two scorers continued to the last sixteen while the bottom two dropped out. 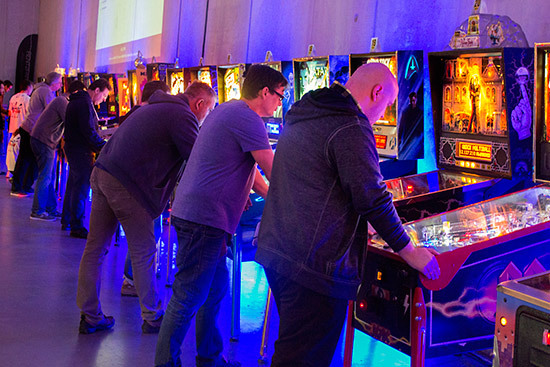 There was a little overlap between players in the Classic Tournament and the BOP play-offs, but it didn't cause too much delay as the BOP headed towards deciding the four finalists. 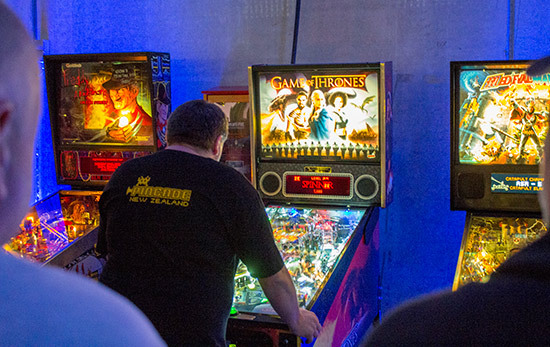 Outside the main hall, the finals of the Winner Takes It All tournament was also about to begin, with the top scorers on each machine playing them again to decide the overall Winner who would indeed Take It All. 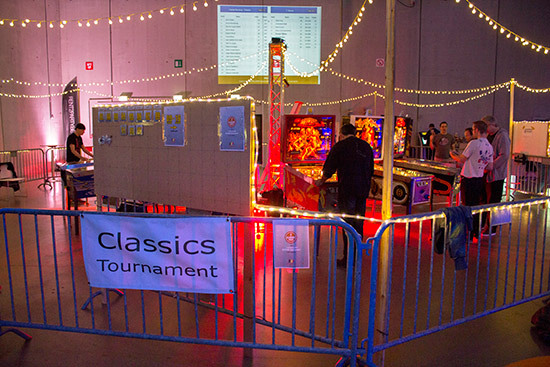 The Classics Tournament has also reached its final stage back in the main hall. 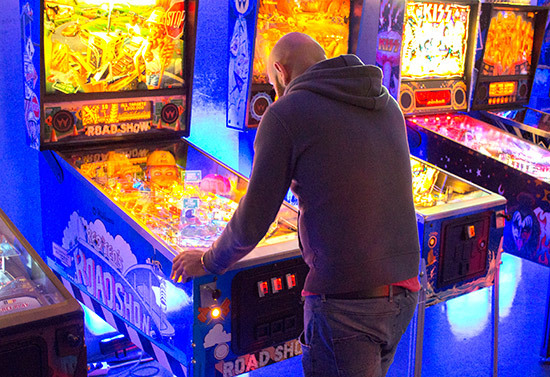 As in the play-offs, this was a one game final, although the number of balls was increased from three to five on the selected machine, Evel Knievel. It was a very tight final, with no player having a breakaway ball. 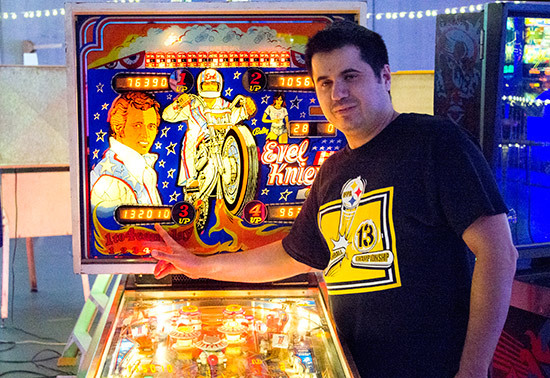 Julio was in the lead going into the fifth and final ball with his 125,450 score. David was second on 70,910, with John close behind on 66,780 and Cayle just 10K further back on 56,640. 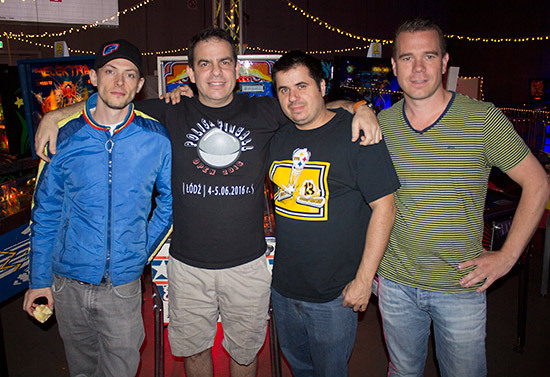 Once again none of the four had a great ball, which meant Julio retained the top score with 132,010 to take first place. John had the best ball to boost his score up to 96,310 which gave him second place ahead of David on 76,390, with Calye close in fourth on 70,560. 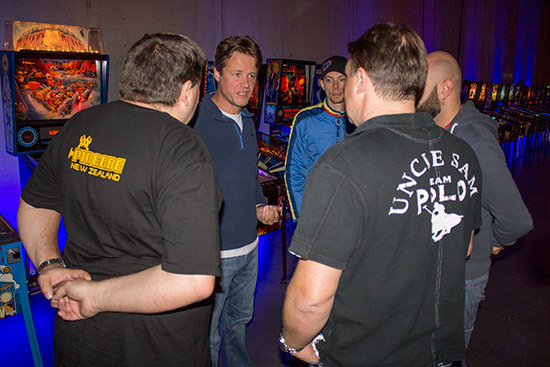 All eyes then turned to the final of the Belgian Open Pinball tournament. 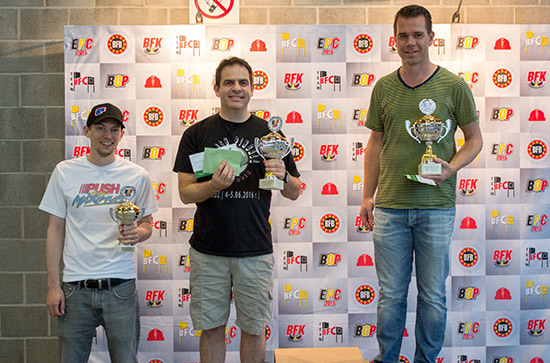 The three winner bracket finalists were Franck Bona, Daniele Acciari and Erwin Deutschländer. They were joined by the winner of the loser bracket, Cayle George. 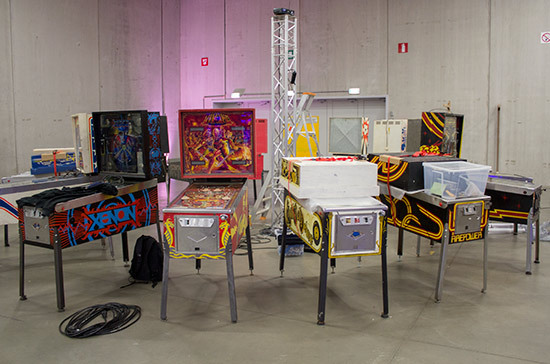 Each of the winner bracket finalists got to choose a machine to be played in the final. Cayle then got to choose play order for the first game which was Roadshow. Going into the third ball, Erwin was in fourth on 21M, Daniele was in third with 48M, Cayle was second on 103M, but Franck was leading with 198M. Franck extended that lead on his last ball with another multiball to give him a game total of 303M. Cayle added another 100M to his score, but his 200M total fell short and looked good for second place after Erwin only boosted his score to 83M. 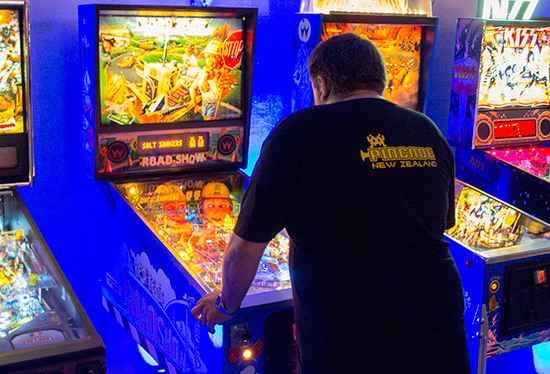 But never discount Daniele's comeback skills, as he started multiball on his last ball and took his 51M starting score up to 316M to take the win. Points were awarded for position on each of the three games, with four points for a win, two for second, one for third and none for fourth. 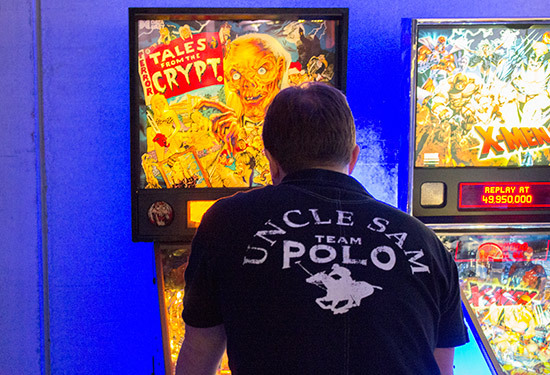 The second game was Tales from the Crypt and this time Daniele started well with 63M, double his nearest rival which was Franck on 32M. Erwin was narrowly ahead of Cayle in third by 10M to 8M. Both Franck and then Cayle then scored big on their second balls. Franck managed a total of 244M, but Cayle went further and ended his second ball on 289M. These followed a poor second ball from Daniele which only gave him 75M, and was followed by Erwin's equally lacklustre ball which gave him a total of 22M. Although Daniele did better on his last ball, it still only gave him a game total of 145M. Franck needed to set Cayle a challenge but his ball drained quickly with 265M on the board. Cayle then just had to make sure his score was out of reach of Erwin which it seemed he had, ending on 298M, a lead of almost 270M. However, Erwin had a great final ball and only very narrowly failed to overtake Cayle, finally draining with a score of 286M, just 12M points away from victory. So Cayle took the four points, Erwin two points and Franck the one point. The last game of the final was Game of Thrones and Franck led off this time. It was a short ball, only scoring 9M before Cayle took over. 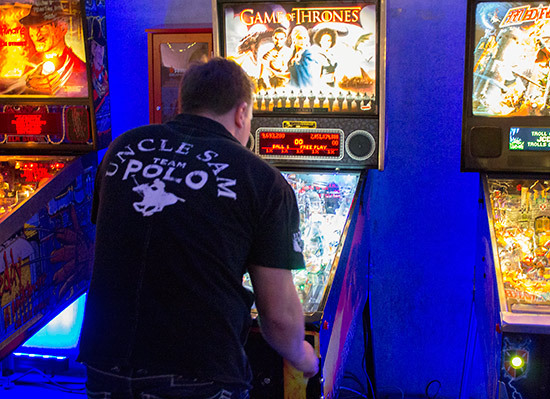 He racked up an impressive 2.051B on ball one, staking and early claim to the Iron Throne. Erwin didn't shed much blood with his first ball and only managed 2.6M, while Daniele in the player four spot did the best of the following pack with a 62M opener. Franck had another disappointing ball as his grip on the crown started to slip with just 11.9M after two balls. Despite starting Hand of the King, Cayle didn't add much to his score and walked away with 2.7B racked up. Erwin started to ramp-up his game and managed 398M, but it was Daniele who looked as though he could be a genuine challenger, ending his second ball with just over 1B points. Franck's game finally found some traction as he ended his final ball on 494M. Cayle was already looking pretty comfortable with his huge score, so he wasn't too worried when his last ball did the same as his second ball, adding 100M to end on 2.836M. Erwin's promise with his second ball wasn't fulfilled as he only added 15M on his final ball for a total of 413M and fourth place. 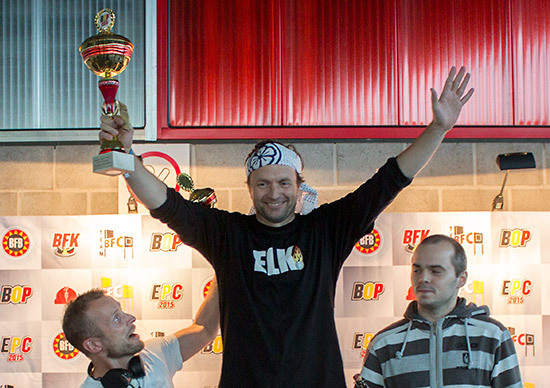 Daniele needed a ball as good as Cayle's first if he was to win this game, and although he got Hand of the King as well, it wasn't enough and he finished on 1.7B for second place. The four points guaranteed Cayle's win, while second place in the last game gave Daniele second overall as well. Franck's close third place ensured he remained third, while Erwin scored no points in this game and stayed fourth. 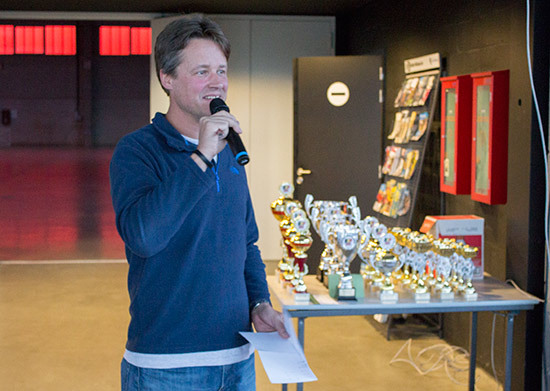 Then it was out into the lobby for the awards presentations from Lieven. 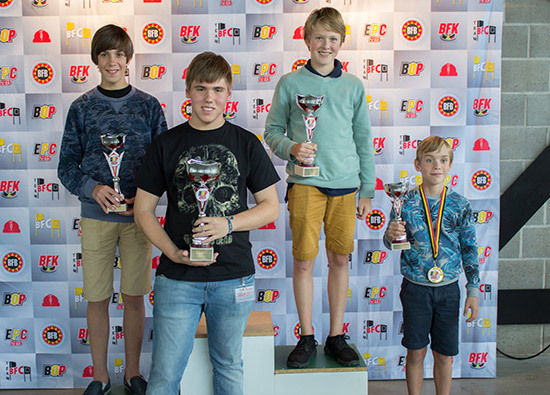 First of all, the Youth Tournament was an all-Belgian top four, and was won by Thomas van Clapdorp. 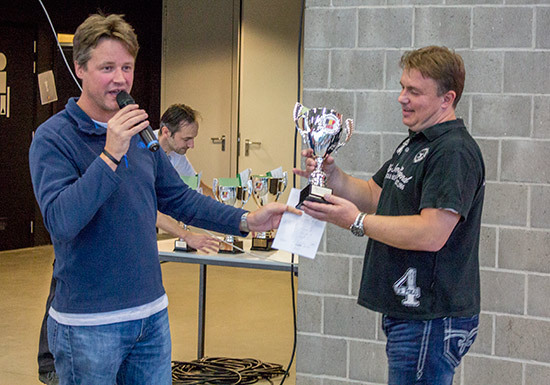 Second was Timber Engelbeen, while third and fourth went to siblings Korben Van Wonterghem and Sander Van Wonterghem. 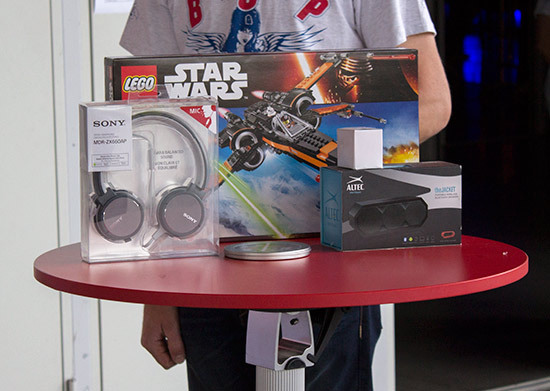 Each of the top three got to choose a prize to go with their trophies, with the remaining prize going to Sander. 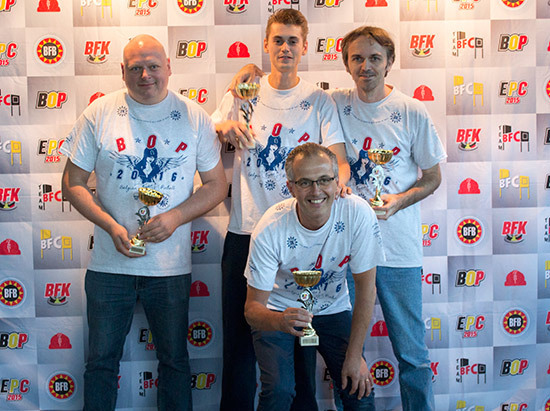 Then came the awards to the top three in the Team Tournament. 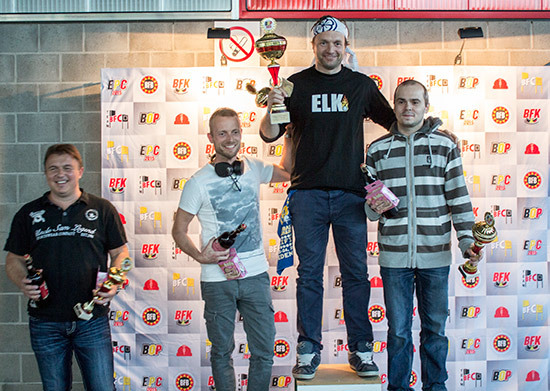 The winners were KDIT from Belgium. Second were De Boertjes, also from Belgium. 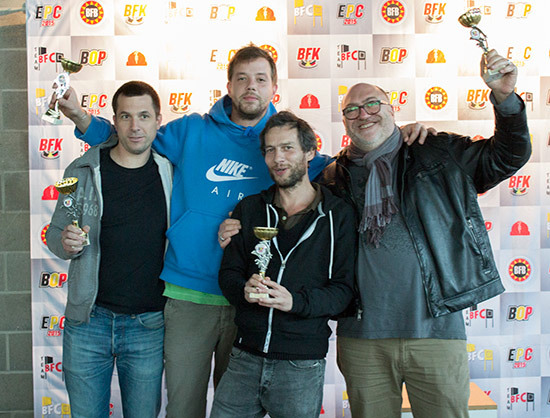 And in third place was the French team of The Insiders. 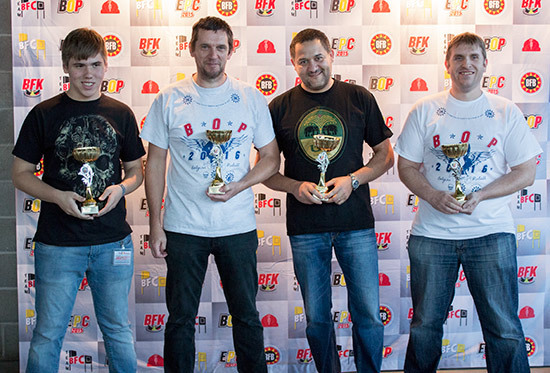 After the final play-off, the winner of the Winner Takes It All tournament was Mads Kristensen from Denmark. 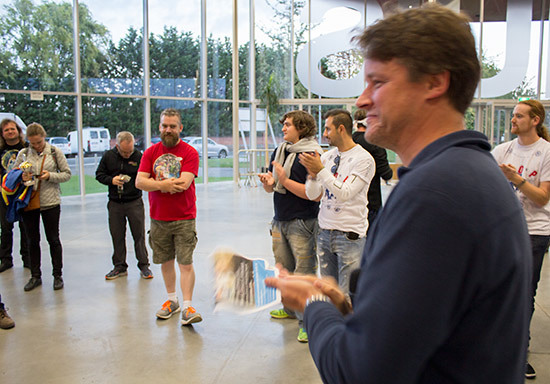 In fact Mads didn't quite Take It All, as there were runner-up prizes for the other finalists. 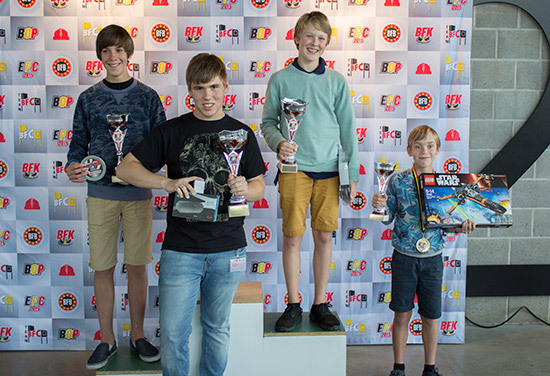 Sadly the winner of the Classic Tournament, Julio, had to leave before the trophy presentation but the other three were there to collect their awards. 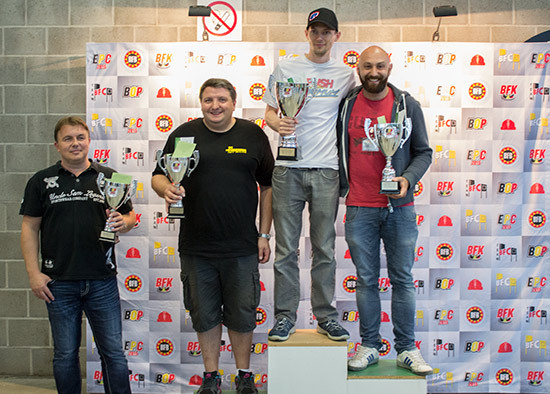 Then, finally, the main Belgian Open Tournament awards were given out. In fourth place, as we just saw, was Erwin Deutschländer from Germany. In third was Franck Bona from France. 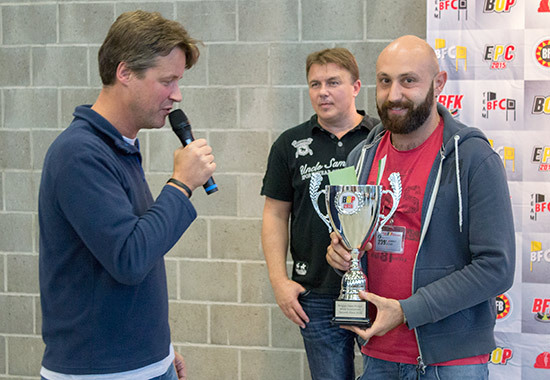 The runner-up was Daniele Acciari from Italy. And the winner was Cayle George from the USA. 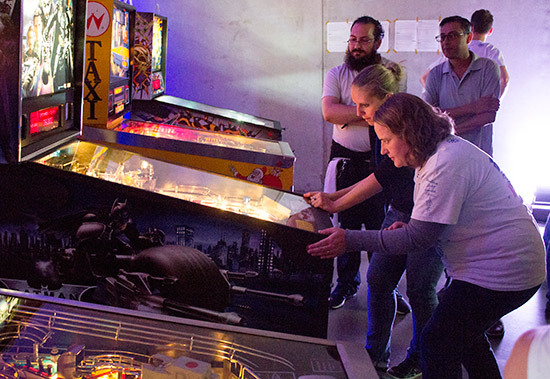 Finally, Lieven told the audience about Wayne John's upcoming charity attempt to beat the current Guinness World Record for the longest continuous pinball playing. Everyone wished him well in his attempt which will take place on 22nd/23rd October 2016. 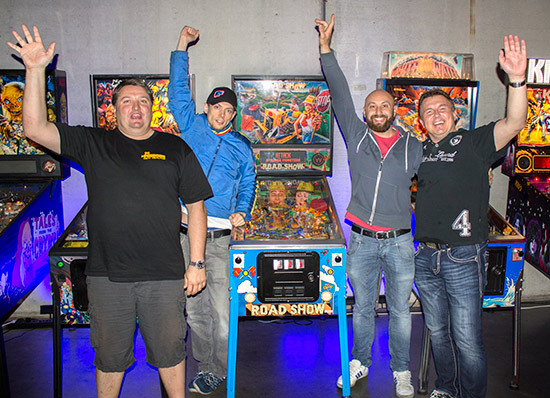 And with that the Belgian Open Pinball weekend drew to a close. 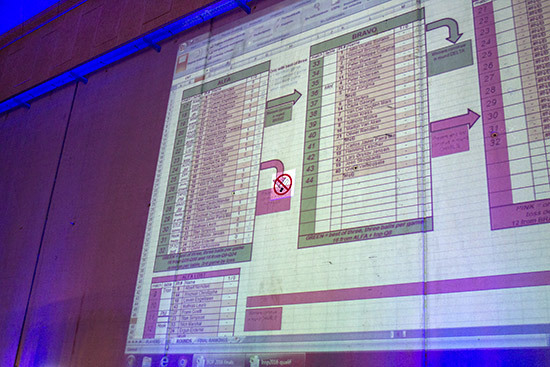 The players were invited to leave as the breakdown of the machines, desks and systems began. 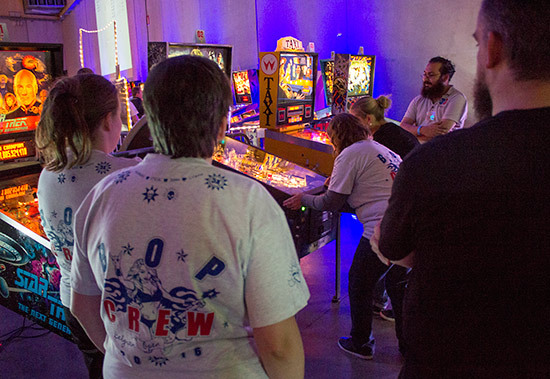 Everyone agreed that the facilities at the new venue for the BOP were a great improvement over those at the previous location. The air conditioning in particular was very welcome, and there was a much more spacious feel. 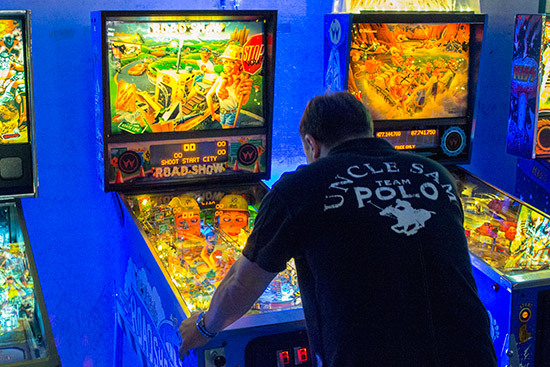 It may have lacked some of the intimacy and charm of the multi-room nightclub, but the multiple entrances and numerous ways to check scores and standings without blocking the aisles more than made up for it. 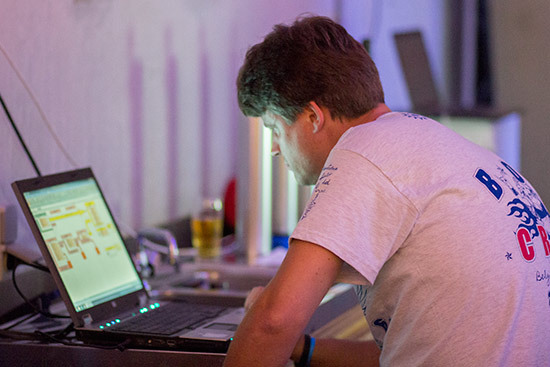 It's also amazing how many people work on the tournament weekend. We reckoned there must have been around twenty helpers at the tournament entry points, registration desk, doing the scoring, running the bar, looking after the computer systems and fixing games. A big "thanks" to them and to all the competitors. No doubt we shall be back in 'St. Nick's' again next October.